Jointly hosted by the Hainan Provincial Party Committee Propaganda Department, Department of Culture Radio Television Publication and Sports of Hainan Province, Hainan Literary Federation and China Artist Federation, 2011 China Artist Painting and Calligraphy Communication Meeting will be held in Haikou 24th to 26th Feb 2011. 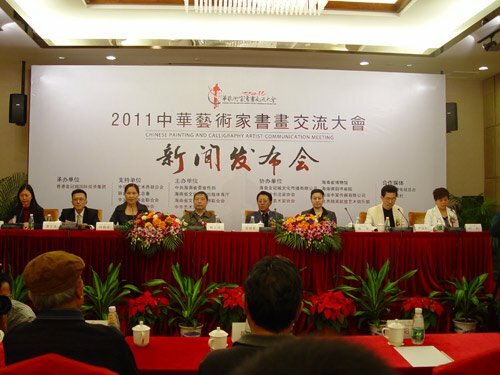 As the first large-scale painting and calligraphy communication meeting in the nation in 2011, over 200 renowned artists from home and broad, business celebrities and government leaders will be participating in the communication meeting. Apart from the painting and calligraphy communication meeting, an opening ceremony of the China Artist Federation, a painting and calligraphy forum and painting and calligraphy work auction will be held.